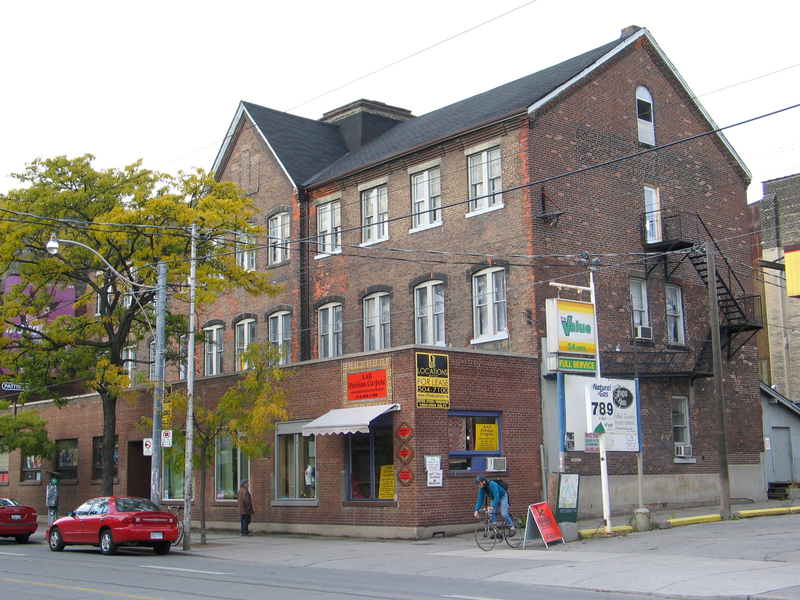 The Fashion House Condo is located at 570 King Street West in a neighbourhood formerly characterized by factories including small retail shops, a brewer, tailor, railway switcher and carter. 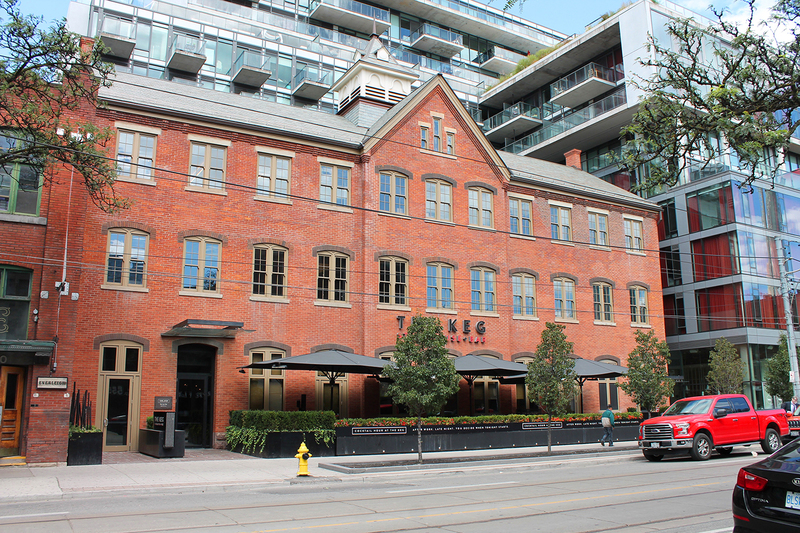 The project incorporates aspects of adaptive reuse conjoined with new construction: a designated heritage building that formerly housed the Toronto Silver Plate Building and new infill with a mid-rise condo tower development. The Silver Plate Building was completed in 1875. The ground floor contained an office, a showroom, packing facilities, and a shop for the stamping of designs on to the silver objects that were manufactured on site such as flatware, cutlery and hollow ware (vases and bowls). 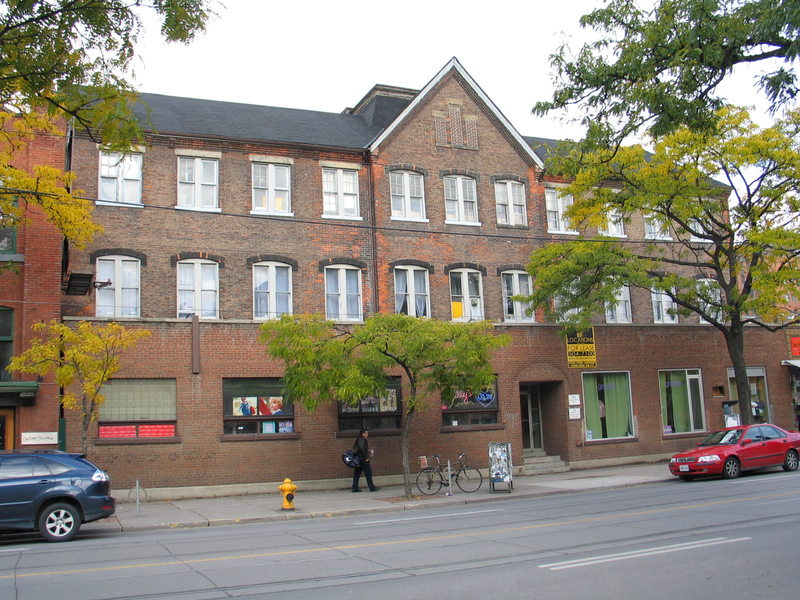 The second floor housed facilities for burnishing and buffing the silver, and the attic space was used for storage. 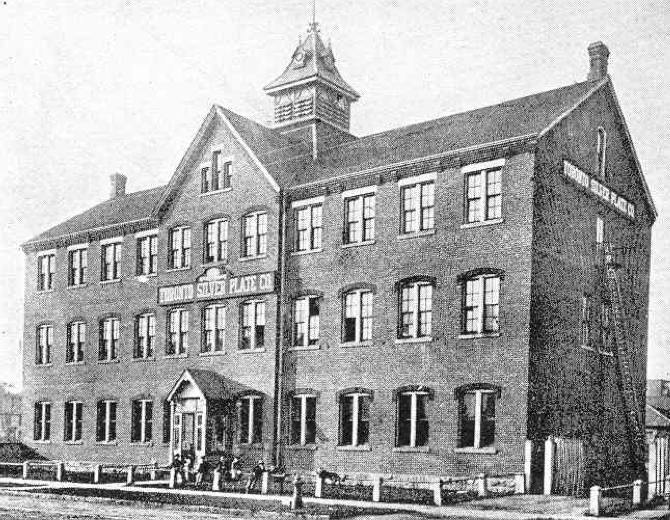 The building was part of a complex that included a foundry and electro-plating facilities. 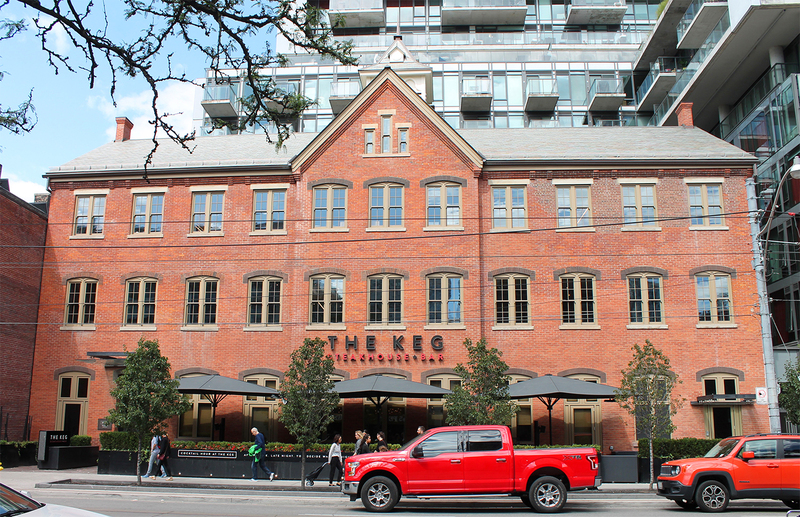 The building was rehabilitated in 2015 and integrated into the Fashion House condo project as a welcome addition to the Kings West District streetscape. 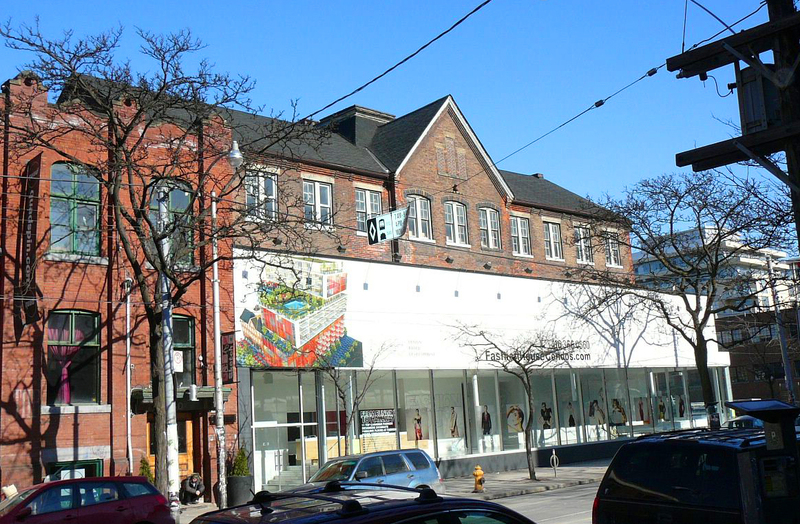 The condo is organized around an exterior area at the north of the site and wraps around the back and east side of the heritage building. 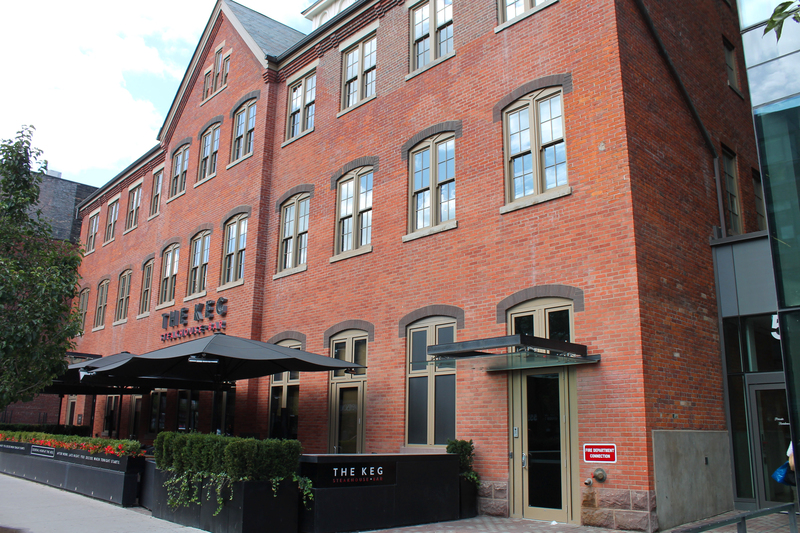 ERA’s role included the completion of a Heritage Impact Assessment, a Conservation Plan, coordination of heritage approvals, the preparation of contract documents and site review. And challenges related to restoring the masonry, given its advanced deterioration. The interior of the building was rehabilitated for commercial use at grade and offices above. 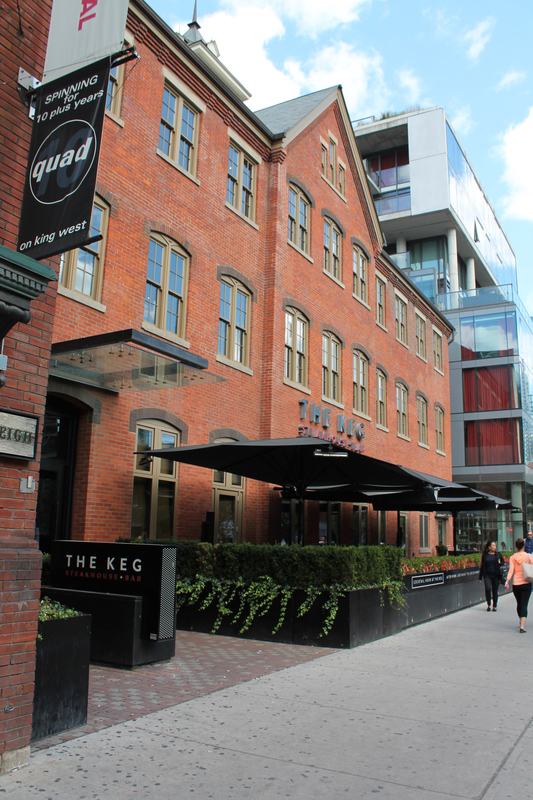 The Keg restaurant occupies the ground floor space with an outdoor patio, which compliments the building’s frontage and animates this lively stretch of King Street West.